Exclusive! These Handy Canvas Totes go everywhere! 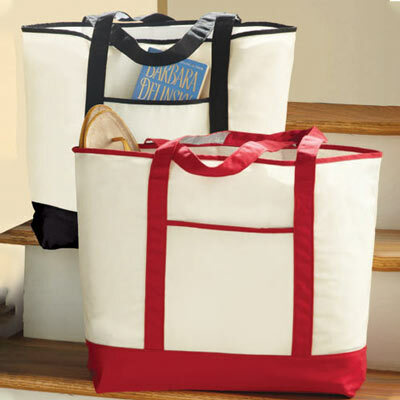 Great for eco-friendly grocery shopping, overnight road trips, carrying books and more. Easy to fold and store when not in use. Extra sturdy, natural color cotton canvas with contrasting canvas trim, front pocket and straps. Spot clean. Imported. 24"l straps. Hurry! Quantities are limited!